Okay, we have all been there. A tire blows out, leaving you stranded and in need of assistance. While installing your spare tire, you realize your spare tire doesn’t have any air in it. Your vehicle’s tire maintenance along with proper tire pressures in all of your tires is essential in keeping you safe on the road. 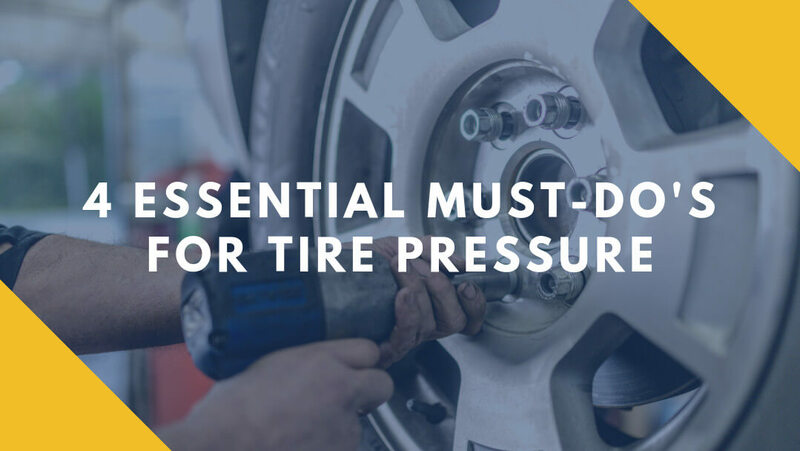 Here are a few Must Dos for tire pressure. Checking your tire pressure regularly, on a routine basis, will keep you safe on the road. The recommended tire pressure check schedule is once every thirty days. Put a reminder in your calendar to ensure your tires’ pressures are where they should be at all times. Most gas station air machines are not very accurate and sometimes let air out of your tires. 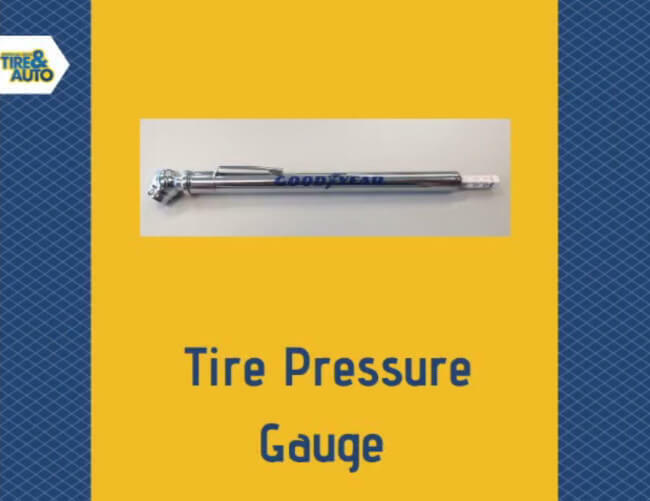 It is a good investment to purchase a quality tire air gauge of your own so you can check your tire pressure regularly. Always check your tire pressure with the tires cold. After driving, the tires will be hot and the air pressure reading may not be accurate. As you check your tires each month, take an extra step and visually check each tire for wear or damage. Look closely at the valve stem and sidewalls of your tires. Look for worn, rubbed, or torn areas across your tires. Look closely at the tread of your tires and inspect for worn areas on the inside, center and outside of your tires. >> If you see these worn areas, take your vehicle in for maintenance as soon as possible. Knowing the correct tire pressures is essential in proper tire care and maintenance. On most newer vehicles, you can find the correct tire inflation information for your vehicle on a small placard located on the driver-side doorjamb. 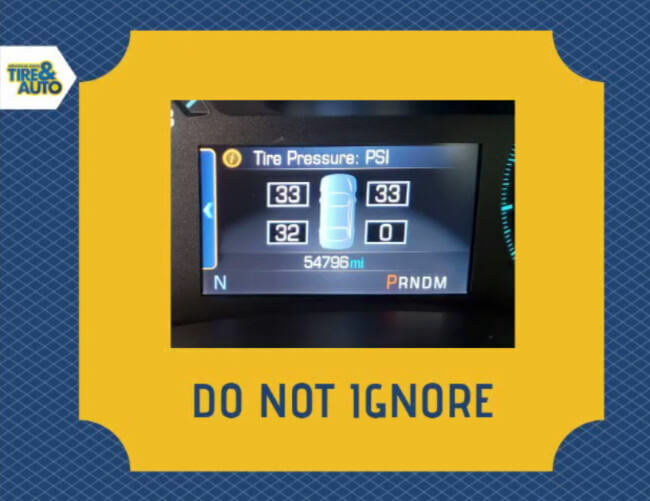 The information tells you the correct tire pressures needed for each of your tires according to what the manufacturer recommends for your vehicle. 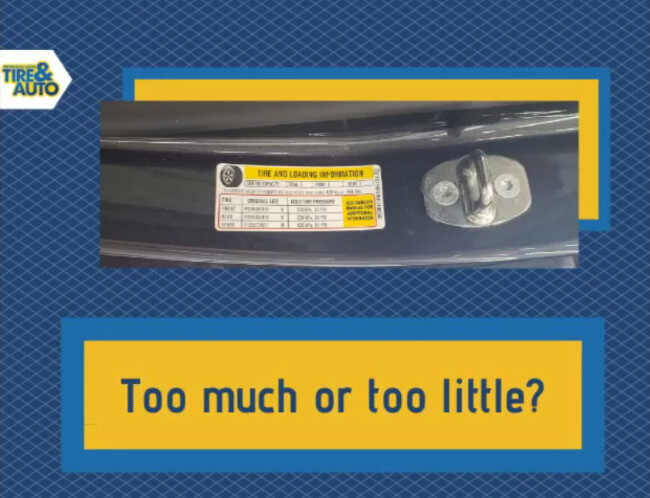 Don’t be confused with the maximum tire pressure listed on your tire’s sidewall. That inflation pressure is the maximum air pressure your tire can safely be inflated to but the actual air pressure for your vehicle may be much less. This placard air pressure is based on the weight of your vehicle and its carrying capacity. 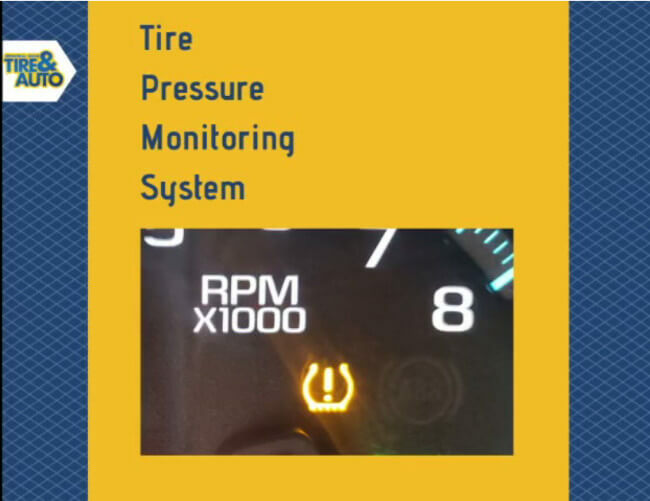 > Proper tire pressures are on the placard and should be followed for proper tire care. As the seasons change and temperatures drop, the colder air can cause tire pressures to drop which can cause your TPMS or Low Tire light to come on. If this happens, check your air pressure and add air if needed. Please don’t forget the spare tire! Keeping the correct air pressure in your tires will make the tires wear and ride better. >> When in doubt always consult an Auto Care Specialist. Contact Memorial Drive Tire & Auto for all your Tire Service needs!